Today, Wednesday July 2 2014, the ISOC-NY TV show will present highlights of the NYSPSC Time Warner Cable / Comcast merger NYC public hearing held on June 19 2014. The show, which airs from 2-3pm, may be viewed via Manhattan Cable or online via the MNN website. If you miss it, you can view the unedited video below. 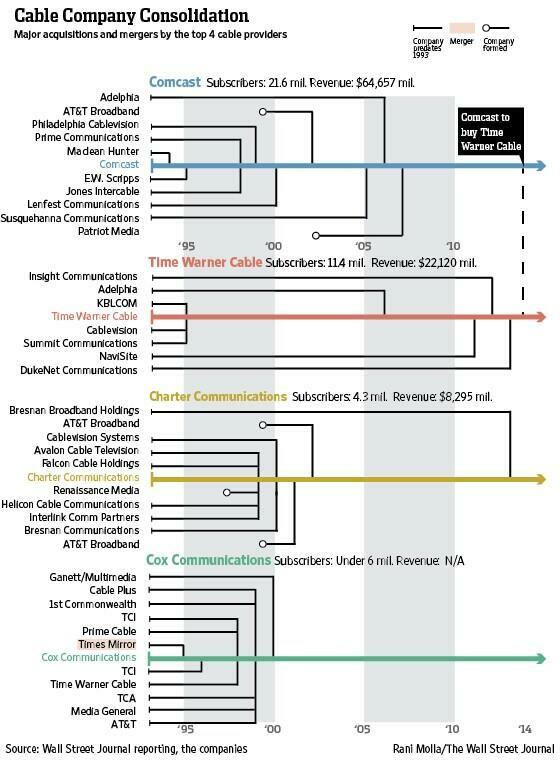 As most are aware Level 3 has complained that it is being gouged by Comcast. It appears Comcast has demanded extra cash for transit costs due to an increased level of traffic due to Level 3’s new arrangement to carry Netflix traffic previously carried by Akamai. Under the Akamai CDN system Comcast had been paid to host Akamai servers on its network and there was obviously less load on their transit costs. No wonder they are unhappy. However it’s difficult to see, at least in the mind of the general public, how this will help their case – the public is accustomed to paying for the bandwidth to receive content, not the other way round! While peering and simple Internet service are not the same thing, the difference is not easily discernible..
Comcast plans four trials. The first one will use a transition technique that is still under development, called 6RD. 6RD is similar to the 6to4 automatic tunneling mechanism that is available in Windows (it’s enabled automatically when the system has a public IPv4 address under Windows 7 and Vista). The difference is that 6RD only tunnels IPv6 packets across an IPv4-only part of the service provider’s network, while 6to4 can tunnel across large parts of the Internet, possibly incurring slowdowns. The second trial will be with native IPv6. Here, IPv6 packets are transmitted across the infrastructure without encapsulating them in IPv4 packets. IPv4 remains available, creating a “dual stack” deployment. “Native, dual-stack is central to our IPv6 strategy and we expect that the native dual-stack solution will be a significant part of the IPv6 transition, enabling IPv6 technology to evolve globally while still being able to provide seamless services to the traditional IPv4 Internet,” says Comcast. The third trial will basically be the opposite of the first: rather than encapsulate IPv6 packets in IPv4 packets in order to traverse IPv4-only network sections, IPv4 is now encapsulated in IPv6 to get across IPv6-only parts of the service provider network. The technique for this will be “Dual Stack Lite,” a protocol that is being developed in the IETF Softwires working group, which is co-chaired by Comcast’s Alain Durand. In Dual Stack Lite, the IPv4 hosts use private IPv4 addresses. A home router encapsulates those in IPv6 packets, and a “carrier grade NAT” both decapsulates the packets and performs Network Address Translation so that a lot of DS-Lite clients can share a single IPv4 address. The fourth trial will evaluate how to provide IPv6 to business class customers. The first two trials are scheduled for the second quarter of 2010, the other two for the third quarter. .
via Comcast sees end of IPv4 tunnel, beginning IPv6 trial.